A Time for Mary April 25, 2019 at 7:45 am – 8:00 am Our Lady of Perpetual Help Chapel The rosary is prayed and the Mother of Good Counsel prayer offered. Daily Mass April 25, 2019 at 8:30 am – 12:00 pm Our Lady of Perpetual Help Chapel Weekday Daily Mass offered at 8:30 am and Noon. House of God Ministry April 25, 2019 at 9:30 am – 10:30 am St Augustine's Catholic Church, 25 115th St, Troy, NY 12182, USA TEAM IV - Teams of devoted parishioners who clean and beautify the church. A Time for Mary April 26, 2019 at 7:45 am – 8:00 am Our Lady of Perpetual Help Chapel The rosary is prayed and the Mother of Good Counsel prayer offered. Daily Mass April 26, 2019 at 8:30 am – 12:00 pm Our Lady of Perpetual Help Chapel Weekday Daily Mass offered at 8:30 am and Noon. 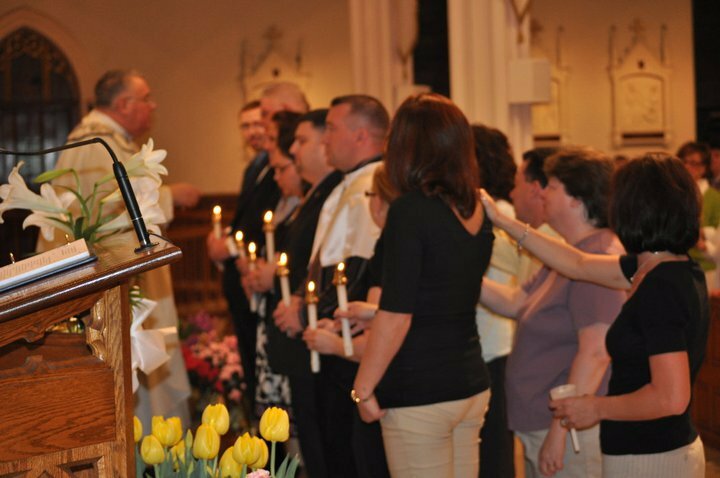 CLASS - Grades 1-5 May 2, 2019 at 3:30 pm – 4:45 pm St. Augustine's Church, 25 115th St, Troy, NY 12182, USA Last Class for grades 1-5. See you at Mass and in September! HOSPITALITY SUNDAY April 28, 2019 at 8:30 am – 11:30 am St. Rita's Room, Lower Church, St. Augustine's Church, 25 115th St, Troy, NY 12182, USA Please join us after the Sunday Masses, at 8:30am and 10:30am, for a Hospitality Sunday hosted by Eucharistic Ministers. To add any of these calendars to your Mobile Device just follow this link to Event Calendar Page and find the Calendar you would like to add. Then find the plus sign (+) next to “Google Calendar” in the lower right hand corner of each calendar. Click this plus sign and follow the instructions. As we update the calendar it will be updated in your mobile device.